Since some thermal equipment in a power plant may be exposed to some substances in the water. Those substances produce harmful components and cause corrosion of the equipment. For this reason, the safe operation of the power plant has a direct relationship with the chemical water treatment system. Impurities in the water can damage equipment. The water in the power plant must be treated before it can be used. 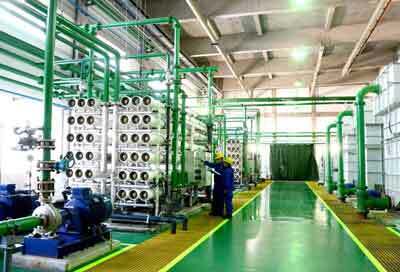 The treatment program is the chemical water treatment system in the power plant. I. Development and Current Status of Chemical Water Treatment Technology in Power Plants. 1.1 The 3 Main Methods Used by Power Plants to Obtain Pure Demineralized Water. (1) To use traditional clarification, filtration, and ion exchange methods. The process is as follows. Raw water → flocculation clarification tank → multi-media filter → activated carbon filter → cation exchange bed → carbon dioxide removal fan → intermediate water tank → anion exchange bed → anion exchange bed → resin trap → unit water. (2) To use reverse osmosis and mixed bed water production method. The process is as follows. Raw water→flocculation clarification tank → multi-media filter → activated carbon filter → precision filter → security filter → high-pressure pump → reverse osmosis device → intermediate water tank → mixed bed device → resin trap → demineralized water tank. (3) To use pretreatment, reverse osmosis and EDI water production. The process is as follows. Raw water → flocculation clarification tank → multi-media filter → activated carbon filter → ultrafiltration device → reverse osmosis device → reverse osmosis water tank → EDI device → microporous filter → demineralized water tank. The above three water treatment methods are the main processes for obtaining demineralized water in power plants. Other water purification processes are mostly water-making processes that are combined on the basis of the above three water-making methods. 1.2 Advantages and disadvantages of three water production methods. (1) The advantage of the first method is that the initial investment is small and the equipment occupies relatively few places. The disadvantage is that ion exchanger failure requires acid and alkali regeneration to restore its exchange capacity. That consumes a lot of acid and alkali. Waste liquid generated by regeneration needs neutralization and discharge. Later production costs are higher. And easy to cause damage to the environment. (2) The second method is to use reverse osmosis + mixed bed. This water-making process is a relatively economical method for the chemical production of ultra-pure demineralized water, which requires only the regeneration of the mixed bed. And the water quality after reverse osmosis semi-desalting treatment is better. It alleviates the frequency of failure of the mixed bed. This method reduces the consumption of acids and bases required for regeneration. At the same time, its damage to the environment is relatively small. 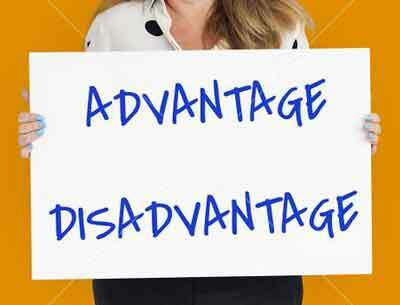 Its disadvantage is that the reverse osmosis membrane costs are relatively large at the initial stage of investment. But the total cost is more cost-effective. Most power plants are currently considering accepting this water production process. (3) The third method of water production is also called full membrane water production. This water-making method can produce pure demineralized water without regeneration with acid or alkali. It will not cause damage to the environment. This method is currently the most economical and environmentally friendly chemical water production process in power plants. However, the disadvantage is that the initial investment in equipment is too expensive compared to the previous two methods of water production. II. The Chemical Water Treatment Measures of Power Plants. 2.1 Treatment Measures for Recharge Water. The power plant is responsible for product safety and efficiency in the supply of boiler feed water. At present, with the rapid development of science and technology, power plants pay more attention to the concept of environmental protection and energy conservation. New fiber materials are widely used in filtration equipment. Not only removes colloids, microorganisms, and suspensions of some particles, etc. It also has strong adsorption and interception ability infiltration and has achieved quite good results. Membrane separation technology is adopted, and anti-infiltration dominates. Reverse osmosis technology can remove more than 90% of ions in water, and has a good removal rate of organic matter and silicon in water. Membrane separation technology has obvious advantages. It saves a lot of money in the treatment of boiler make-up water, and many old problems have also been improved. The new membrane separation technology meets environmental requirements. When the chlorine content in the water is relatively high, it can be treated with activated carbon or treated with water reducing agent. The mixed bed still plays an important role in desalination treatment. Effectively combined with ultrafiltration, reverse osmosis and electrodialysis desalination. Forming an efficient desalination process. Acid and alkali regenerants are no longer needed. The regeneration can be completed only by H+ and OH– which are ionized by water, thereby completing the regeneration and desalting of electrodialysis. This water production process will be the development direction of chemical water production in power plants. 2.2 Treatment Measures for Feed Water. Feed water treatment in power plant boilers is also a key factor in improving production efficiency. At present, in the treatment of boiler feed water, China uses oxygen scavengers and deaerators. Neutral and combined treatments can be used when the water quality is stable. The use of hydrazine technology has certain advantages, but it also has certain limitations. For example, when the temperature of the water is too low, the rate of oxygen removal is slow. And if the decomposition temperature is too high, it is very toxic. This will cause damage to the health of workers in gas-fired power plants. Therefore, some domestic power plants have begun to use the method of supplying water to oxygen to treat boiler feed water. The method is to create a redox atmosphere and achieve better results. A protective film can also be formed under low-temperature conditions to prevent corrosion from occurring. This method avoids the use of toxic drugs hydrazine. At the same time, the pH of the feed water needs to be controlled between 8.7 and 8.9, saving the amount of ammonia used. It extends the boiler pickling cycle while effectively reducing the operating costs of the unit. If the plant wants to use this method, it needs to use high purity feed water. 2.3 Treatment Measures for Boiler Water. Boiler furnace water treatment technology has long used furnace phosphate treatment technology. The lower boiler parameters in the past are the main reasons why technology can be widely used for a long time. There are often a lot of calcium and magnesium ions in the boiler water. Under certain working conditions, the boiler is very easy to scale. Put the phosphate (like HEDP and DTPMP) into the boiler, so that the hardness of the water and the phosphate form phosphate scale are eliminated by the boiler or even removed. The use of phosphate treatment technology not only has a good descaling effect, but also the anti-corrosion effect is very obvious. However, as boiler parameters continue to increase, the acid corrosion problems caused by the phosphate method are becoming more and more serious. Moreover, the boiler feed water system of the high-parameter unit has all adopted secondary demineralization, and the condensate system is provided with a finishing treatment device. There is basically no hardness component in the boiler water. The main role of phosphate treatment is also from the removal of hardness to the adjustment of pH to prevent corrosion. In recent years, low phosphate treatment and balanced phosphate treatment have been proposed. The lower limit of low phosphate treatment is controlled at 0.3 to 0.5 mg/L, and the upper limit is generally not more than 2 to 3 mg/L. The basic principle of balanced phosphate treatment is to reduce the phosphate content of the furnace water to the minimum concentration required to react with the hardness component. At the same time, the furnace water is allowed to have less than 1 mg/L of free NaOH to ensure that the pH of the furnace water is in the range of 9.0 to 9.6. 2.4 Treatment Measures for Condensate Water. At present, DC boilers, most of the high-parameter units of 300MW and above are equipped with condensate water treatment devices. The condensate water treatment system mainly purifies condensed water, metal corrosives, and condenser leaks into the water. The condensate water treatment system can ensure the unit water vapor quality, shorten the unit start-up time and prolong the pickup interval of the thermal system. This system can meet the requirements of some power plants for oxygenated water quality. 2.5 Treatment Measures for Circulating Water. Circulating water is a major item of water consumption in power plants. Increasing the concentration ratio of the circulating cooling water system is a technical way to reduce the loss of circulating water. The concentration ratio of early circulating water treatment is less than 2.5. The current method is to use an organic water scale inhibitor, bactericidal algaecide, and corrosion inhibitor by circulating water. According to the comprehensive treatment process of circulating water quality, the concentration ratio of circulating water can be greatly improved. This is the focus of strengthening circulating water treatment technology. China still has a certain gap with developed countries in terms of circulating water concentration ratio. Therefore, research should be intensified to improve the recycling efficiency of circulating water. To reduce secondary pollution to the environment and water bodies. 2.6 Treatment Measures for Wastewater. There are two main sources of industrial wastewater from power plants. Boiler pickling wastewater discharged during the unit accident or start-up. And Boiler feeds water treatment system acid-base waste liquid. The waste liquid is transported to the wastewater storage tank. They are evenly stirred by compressed air, acid or alkali is added to adjust the pH value of the waste liquid, mixed with a coagulant, and then clarified by entering the slanting plate clarifier. The effluent is filtered through the filter and enters the neutralization pool. After adding acid and alkali to adjust the pH value, the standard will be recycled or discharged. With the continuous advancement of society, power plants have played an important role in the development of society. Rational application of chemical water treatment systems to effectively ensure water quality. To improve the water treatment efficiency of the power plant. To ensure the economic benefits of the power plant. Chemical water treatment is the key to improving power generation efficiency in power plants. It plays an extremely important role in ensuring the stability of the thermal equipment operation. Chemical water treatment is an important process to avoid scale or salt accumulation during the water cycle.